Cypho's technology forms droplets by leveraging either centrifugal force or pressurized air to eject an exact volume of reagent fluid (water) into a second, carrier fluid (oil). The process combines elements of microfluidics to achieve extremely uniform droplets at a very high speed. Cypho's novel droplet generation technology presents an opportunity to develop an industry wide next-generation PCR sample prep solution. 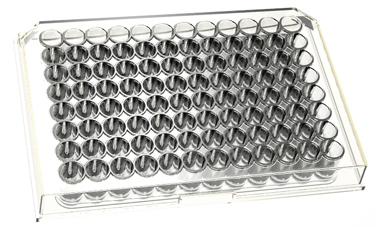 Leverage standard microcentrifuge and multiwell plate formats, eliminating the need to invest in costly, dedicated equipment. Form droplets containig cells, beads or other chemistries. Plate sealing and shaking is no longer necessary. 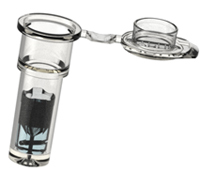 Reduce the risk of contamination during sample preparation. Automated workflows can run seamlessly from DNA isolation through thermocycling.